Are phoneticians born or made? Is phonetic skill innate, or must it be acquired by training? Yesterday I attended an interesting lunch-hour lecture, given by Prof. Sophie Scott of the UCL Institute of Cognitive Neuroscience. Comparing the brain function of a group of trained phoneticians with a matched control group of non-phoneticians, she says that she finds more “structure” in the phoneticians’ left Heschl’s gyrus (the first part of the cortex to process incoming auditory information) than in that of the non-phoneticians. She says this is so even in utero, though how you could detect the difference between foetuses destined to be phoneticians from those not so destined I have no idea. Anyhow, this implies that phonetic ability is an innate predisposition. People born with this genetic quality are going to be drawn to working with sound: not necessarily as phoneticians, but perhaps alternatively as sound engineers, musicians, etc. On the other hand she also claimed that there is a specific training effect. 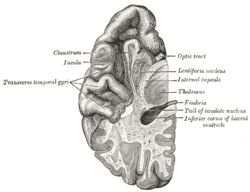 Phonetic training causes the pars opercularis in the brain to grow larger. This is not a genetic predisposition, but is acquired through phonetic training. This was a popular lecture for a general audience, so there was no accompanying handout that might give us references to the research underlying these claims. Looking through Prof. Scott’s recent publications I can’t immediately see a title that would seem to report this research. So I can’t really check it out. It’s an interesting claim, though. It fits in with my personal life experience: when I discovered phonetics it was like falling in love. I had found my métier! That was what I wanted to do. Probably if I had chosen to study modern languages or science at school instead of classics I would still have ended up in the same place. It’s like predestination. English people are so confused and ignorant about foreign languages and how to pronounce them that I sometimes despair about (a) trying to document the state of the language and (b) giving helpful guidance to EFL learners who want to know how to pronounce foreign words and phrases in English. Someone on the radio was saying what a good wine pinot grigio was. But she called it ˌpiːnəʊ ˈgriːgiəʊ. Oh dear, oh dear. Pinot is French, and apparently means ‘pinecone’, perhaps because of the appearance of the small clusters in which the grape grows. It is pronounced pino, so reasonably anglicizes to ˈpiːnəʊ. So far so good. In French the full name of the grape in question is pinot gris (‘grey’). The Italian for ‘grey’ is grigio, so the clone of pinot gris grown in Italy is known as pinot grigio. In Italian the second word is pronounced exactly as the spelling suggests (if you know the rules for spelling-to-sound in Italian), namely ˈgɾiːdʒo. This anglicizes as ˈgriːdʒəʊ or, if you must, as ˈgriːdʒiəʊ. So let’s hear it for ˌpiːnəʊ ˈgriːdʒəʊ. 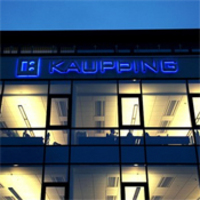 Iceland’s financial difficulties have brought the name Kaupthing to our television screens and newspapers. Its Icelandic spelling is however Kaupþing, which includes the special letter þ (thorn). None of our newspapers attempts to reproduce this character. Even the bank itself writes its name with th outside Iceland: KAUPÞING at home, KAUPTHING abroad. The sound corresponding to þ is a voiceless dental fricative, θ. Icelandic orthography also has ð, with the same sound as in IPA, ð.
I think that these two symbols are in complementary distribution, with þ used morpheme-initially and ð elsewhere; and the two sounds likewise (except that phrase-medial function words can have initial ð, spelt þ). It is remarkably difficult to find a good account of Icelandic phonetics in English: there is a SAMPA-style sketch here. I have a book-length description in Icelandic, Hljóðfræði, by Árni Böðvarsson (Reykjavík: Ísafoldarprentsmiðja, 1979), which the author, now dead, gave me on the occasion of my visit to his country in 1988, but I can’t say that I can actually read it. Fortunately he also gave me his booklet Islanda lingvo (Reykjavík: Islanda Esperanto-Asocio, 1977), which is the most comprehensive account that I can understand. When we did Icelandic in my informant class at UCL the sounds that people found most interesting were the nasals and liquids devoiced (i) before voiceless consonants, as in verk ‘work’, and (ii) in final position after a consonant, as in vatn ‘water’ and fugl ‘bird’. Another tricky consonant is the laterally released voiceless alveolar affricate tɬ spelt ll, as in fjall ‘mountain’. The relationship between spelling and pronunciation is reasonably straightforward if you know the rules, but some of the rules are tricky. Here are the vowels. I remember my colleague Heimur ˈheimʏr (final consonant a voiceless tap) Áskelsson demonstrating these to us. Congratulations to J.M.G. Le Clézio on winning the Nobel prize for literature. His brother Yves was for many years a lecturer in phonetics at UCL. 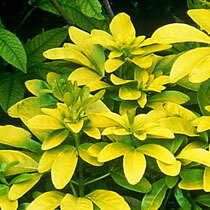 In my garden I have a choisya — an attractive low-maintenance flowering shrub of Mexican origin. Following my parents’ example, I have always called it a ˈtʃɔɪsiə. Apparently most people call it a Mexican orange. Its botanic name is not in any of our pronunciation dictionaries. The OED, however, gives it as either ˈtʃɔɪziə or (don’t laugh) ˈʃwɑːziə, the latter recalling the name of the Swiss botanist after whom it is named, M.J.D. Choisy. Uncertainty and variability seem to be the norm for many botanical names in English. They have fixed spelling (on the whole) but pronunciation that is either arbitrary or variable. We all call a fuchsia plant a ˈfjuːʃə, even though it is named after the German botanist Leonhard Fuchs fʊks and might well therefore have been ˈfʊksiə (but isn’t). The dahlia is named after the Swedish botanist Dahl dɑːl, but we Brits call it a ˈdeɪliə and the Americans a ˈdæljə (or ˈdɑːljə, the swots). I grew up calling weigela wɪˈdʒiːliə, and wrongly imagined it to be spelt correspondingly as wigelia. It is named after Christian Ehrenfried Weigel ˈvaɪgl; in LPD I now recommend waɪˈdʒiːlə, while also recording several other possibilities. Most florists seem to call gypsophila ˌdʒɪpsəˈfɪliə, though it “ought” to be dʒɪpˈsɒfɪlə. Don’t let’s even think about eschscholzia. Travelling on the Wimbledon to Croydon tram (blog, 19 July 2006) you will hear a recorded announcement played at annoyingly frequent intervals. or be \/liable | for a 'penalty \fare. If a student offered me this as a proposed intonation markup of the orthographic version of the sentence I would criticize it on several grounds. Why accent passengers? The announcement cannot be aimed at anyone other than passengers, since only passengers can hear it. Therefore this word should be treated as given by the context and unaccented. Why the nuclear accent on or? The accenting of function words is a habit about which people have been complaining for decades. Unless there is some pragmatic reason to accent a word like or (such as contrastive focus), doing so merely detracts attention from what is important and deserving of being focussed on. An accent on before is perhaps more defensible, but still seems inappropriate. No one really pronounces penalty fare with the main lexical stress on the second element, do they? It’s a 'penalty fare, with compound stress, surely, isn’t it? The person recording the announcement cannot have been thinking about what she was saying. or be 'liable for a \penalty fare. But then ... the recording was made by a native speaker of English, though I can hardly believe she had undergone speech training. We have to face the fact that she recorded the message with an intonation that must have seemed right to her at the time, however inept it seems to me now. At the end of his book Intonation and its Uses (Edward Arnold, 1989), Dwight Bolinger analyses a whole host of similarly unthinking and misleading intonation patterns uttered by broadcasters and all “who speak with the aid of a script or a teleprompter instead of directly from the heart”. Never read verbatim from a script. As I finished checking in to my Berlin hotel, the receptionist asked me Möchten Sie ˈveːlan? ‘Would you like [something not understood]?’. The nearest word that I could think of here was wählen ˈvɛːlən ‘to choose’, but that didn’t seem to make much sense. It turns out what she had said was W-LAN, the German for Wi-Fi, the facility for connecting a laptop to the internet wirelessly. So having sorted that out I said yes, and that’s how I was able to upload my blog for Monday. Wi-Fi is one of those computery words that I expected, evidently wrongly, to be international, borrowed by every language you come across; but it isn’t. I read in Wikipedia that it is actually a proprietary trade name. Wi-Fi allows LANs (Local Area Networks) to be deployed without cabling for client devices, typically reducing the costs of network deployment and expansion. Spaces where cables cannot be run, such as outdoor areas and historical buildings, can host wireless LANs. In einigen Ländern (USA, Spanien, Frankreich, Italien, Republik Südafrika, Chile, Malta, Polen u.a.) wird Wi-Fi als Synonym für WLAN benutzt. Wi-Fi (Aussprache: [ˈwaɪfaɪ]) steht nicht für „Wireless Fidelity“, wie man gemäß populärer Analogie z. B. zu Hi-Fi annehmen könnte, sondern ist ein für Marketingzwecke erfundener Kunstbegriff. So in this author’s view Wi-Fi doesn’t stand for ‘wireless fidelity’, as you might think. It is an artificial concept (Kunstbegriff) invented for marketing purposes. I also discovered that the Germans believe their terms Handy and USB stick to be (i) English and (ii) international. But the first is what we Brits call a mobile and the Americans a cellphone. The second is normally known, in Britain at any rate, as a memory stick or a memory key or a flash drive or a USB drive: we can’t agree on just what to call it, but USB stick is not one of the options. On a recent edition of the BBC R4 programme Poetry, please I heard the poet Dante Gabriel Rossetti referred to as Dante ˌgæbriˈel Rossetti. My partner’s name is Gabriel, and it is not unusual for people who do not know him personally to ring up and ask for ˌgæbriˈel. So why should people have abandoned the old English way of saying this name, supported as it is by biblical and literary tradition? I think it must be contamination from the woman’s name Gabrielle, which is indeed pronounced French-style as ˌgæbriˈel. The popularity of the woman’s name has risen over recent years while that of the man’s name has declined. Despite his Italian-looking first and last names, the Victorian-era English-born, English-educated poet Rossetti’s second name (actually, originally his first) was unquestionably ˈgeɪbriəl. This is definitely my last blog posting about the apostrophe. For now. The little girl with whom I discussed apostrophes on TV had been supplied with a prop: a giant finger on a stick, with which she could point out, literally, apostrophic errors on the streets around. It wasn’t difficult for her to find them. There were plenty of so-called greengrocer’s (greengrocers’?) apostrophes, such as apple’s and tomato’s offered for sale. However, quite apart from these, there is also the question of names of businesses and shops. 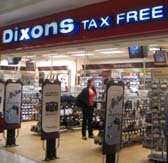 Yet the sky has not fallen in as a result of this commercial boycott of the apostrophe. On the contrary, it offers a model which we ought to extend. In German, the use of an apostrophe in shop names is explicitly deprecated. On a slightly different note, Nigel Greenwood mentions the ‘famous ending’ of Gerald Manley Hopkins’s poem The Wreck of the Deutschland. Majestic, rolling rhythm, says Nigel: and it wouldn’t matter a bit if you dropped all the apostrophes. I’m glad to say that the emails I’ve had over the last 24 hours have mostly been supportive. Thanks, everyone! Only one correspondent hopes that I will rot in hell. Some of you may have seen me on television last night (BBC1, The ONE Show). For those ten seconds of glory I had to spend a whole morning getting to the venue, doing the filming, and getting back again. Anyone who takes seriously the proposal that we abolish the apostrophe will realize that there are certain somewhat problematic cases. The only apostrophes we really do need ... are those in the contractions he’ll, she’ll, I’ll, we’ll, since otherwise they could be misread as hell, shell, ill, well. Other than that, we can do without. 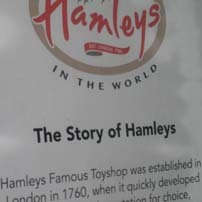 I dont think it matters terribly whether we retain the apostrophe in these cases, or replace it by a space. I have no time for John Humphrys’ [sic] scaremongering about the dangers of confusing its and it’s. I venture to claim that not just many but most adult native speakers of English get this pair wrong more often than right (OK then, David Cameron, rong more often than rite). Like other good spellers, I find this vaguely annoying. But the answer is not ranting on at people but reforming the system. But we tolerate this potential fourway ambiguity in speech, so why can’t we tolerate it in writing? If it’s important to be unambiguous, then reword it, in writing as in speech. Apart from contractions, the other difficult cases, as Michael Ashby points out to me, are the possessives of certain stems ending in a sibilant. Can we omit the apostrophe in Ross’s? Three ss in succession would indeed look odd. Even Jones’s would look odd as Joness. I suggest we follow the principle that if there’s no difference in speech we don’t need one in writing. 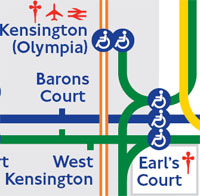 By this principle, ˈkrɒsɪz can be spelt crosses not only for the plural and plural possessive, but also for the singular possessive (current cross’s). Therefore the possessive of Ross could be written Rosses. More generally, the singular and plural possessives of nouns should always be written in the same way as the non-possessive plural if homophonous with it. The possessive of Baz involves the same problem as the plural of bus, where we hesitate between buses and busses. Only last Sunday I saw a church service sheet inviting us to sing the hymn The churches one foundation [sic]. If we abolished the apostrophe, that’s how we would all write it. This is John Wellses blog. Do read David Crystal on having a row with John Humphrys [= son OF Humphry, so by the usual rules for apostrophes ought to be Humphry’s]. 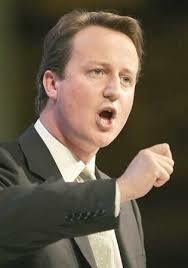 Gosh, I’ve been denounced by David Cameron! …and the dangerous practice of dumbing down. It's the President of the Spelling Society. He said, and I quote, "people should be able to use whichever spelling they prefer." I’m in favour of consistency, logic, and obeying the rules, in spelling as in other things. I just think the rules need to be modified. 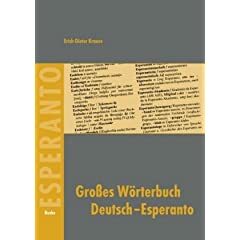 I’ve just bought a new dictionary: Erich-Dieter Krause’s Großes Wörterbuch Deutsch-Esperanto (Hamburg: Helmut Buske Verlag, 2007). Weighing nearly two and a half kilos and costing 128 euros, it is the largest bilingual Esperanto dictionary ever produced. This is not the place for a review. But I thought I would mention the disappointing treatment of phonetics in the book. Only a very few headwords are actually supplied with pronunciations, namely non-German names and phrases. One wonders who these transcriptions are for. Is this book a place where native speakers of German would look for such advice? Or is it for non-native speakers? Perhaps it’s for NNSs of German who want to know how these English (etc.) words are pronounced in German. As you can see, the phonetics is very unsatisfactory. 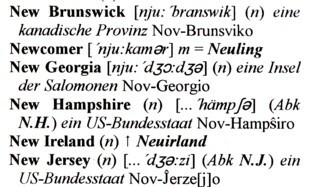 if this is meant to represent English NS pronunciation the entry for New Brunswick is wrong, since in English we say it with z, not s.
And there is no list of symbols or their meanings supplied. Mind you, having heard Max Mangold’s horror stories (blog, 15 Aug 2007), I am not surprised at one more case of the cavalier treatment of phonetics by German publishers.